The need for more efficient, cleaner and productive coal power plants means that new materials and designs must be developed that will operate at much higher temperatures, especially in countries where coal will remain one of the major energy resources in the future. The editor and contributors provide a comprehensive reference on the developments, materials, design and operation of ultra-supercritical power plants. Following a chapter introducing advanced and ultra-supercritical coal power plants, part one goes on to explore the operating environments, materials and engineering of ultra-supercritical coal power plants. Chapters discuss the impacts of steam conditions on plant materials and operation, fuel considerations and burner design, and materials and design for boilers working under supercritical steam conditions. 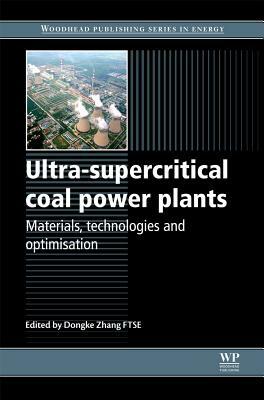 Chapters in part two focus on improving ultra-supercritical coal power plant performance and operability and highlight ash fouling, deposition and slagging in ultra-supercritical coal power plants, pollution control measures, and the estimation, management and extension of the life of ultra-supercritical power plants. Further contributions provide an economic and engineering analysis of a 700C advanced ultra-supercritical pulverized coal power plant and discuss CO2 capture-ready ultra-supercritical coal power plants.